Winchester Cathedral produces masses of fragrant blooms throughout the summer. 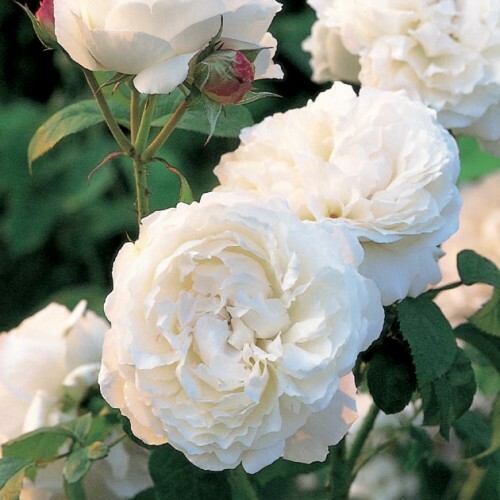 It bears attractive, loose-petalled, white flowers that have a delicious Old Rose fragrance with hints of honey and almond blossom. It's very free-flowering and considered to be particularly winter hardy.